For years, the crafting of a solid story required little more than the ability to guess. Writing. Rewriting. Repeat ad nauseam until the work found its voice. The challenge always seemed to be finding the necessary pieces to tell a complete story. Instead of leaving purpose to chance, the [Dramatica] storyform (a pillar of narrative science theory) grants clues to this process of “unearthing the bones”. No longer a case of crossing fingers and biting lips, writing a story that satisfies and fulfills now comes with an enlightening roadmap. As discussed in the first article in this series, [A Separation: Blueprint of a Masterpiece], the storyform paints a holistic footprint of a story’s thematic make-up. Choosing to focus one part of a story on a certain point-of-view demands that complimentary and opposing points-of-view come into play as well. As we saw with the juxtaposition of appropriate and inappropriate behavior both in Nader’s storyline and in the larger storyline of modern life in Iran, alternate points-of-view help define the Author’s “message” and give purpose to stor. Further examination of the storyform Dramatica predicted for A Separation proved just as exhilarating as the first revelation. Take for instance the concept of the Overall Story Catalyst and the Overall Story Inhibitor. As defined by the theory, these two claim responsibility for increasing or decreasing conflict within a story. As you can see Dramatica singled out Confidence as the Catalyst and Knowledge as the Inhibitor. Perfect! Every time a character proceeds with confidence—Nader’s strong sense of innocence, Hodjat’s defense of his wife in court—conflict in the story builds. Likewise, any time Knowledge comes into play—as when Razieh reveals knowledge of her accident the night before—the story slows to a halt. What other understanding of story can even come close to this kind of narrative thematic prestidigitation?! Without going into too much more detail, these amazing predictions continue on through out the entire storyform. Confident as we had finally found “the one”, we concluded class that night resolved with a better understanding of why this film worked so well. More importantly, the process of analysis granted each of us greater insight towards how to apply the same successful thematic exploration in our own work. And so there it was. 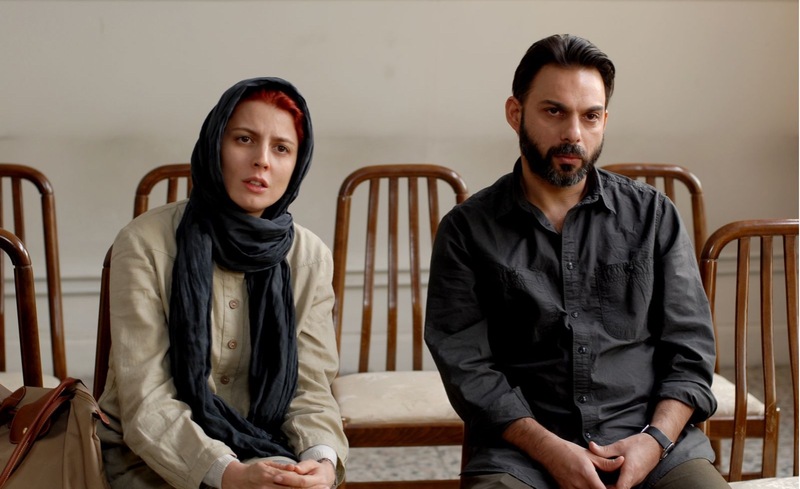 Without actually sitting down and watching A Separation, Dramatica was able to confidently predict how the rest of the story should play out—just by knowing Nader’s character. Why is this so important for writers (and for those struggling to bring a story together)? If you know your Main Character as well as Asghar Farhadi, the writer of A Separation clearly did, but you aren’t sure where to take the Overall Story or any of the other characters, Dramatica can predict for you the necessary story points you need to complete the narrative. Not sure how to increase conflict in the Overall Story? Apply a hint of the Overall Story Catalyst as described above and you’re good to go. Not sure how to develop that key Relationship Throughline? Look to the Relationship Story Signposts and craft your work accordingly. Regardless of what story point you need help with or are blind to see yourself, the Dramatica theory of story can help make your story solid and meaningful. Experiences like this help solidify the uniqueness of Dramatica’s approach to story. By inputting the qualities of a single character the theory predicts and nails what should be happening within the other Throughlines. But wonder like this means nothing without some greater purpose behind it. Take a look at that last element in Nader’s quad, the one we have yet to discuss—Effect. If Nader’s problem is Cause then his Solution to that problem is Effect. But he never gets there—and I believe that’s key to what this film is all about. Nader is a Steadfast character which means that his point-of-view, his perspective towards things, remains consistent. His pride and his confidence in his own innocence so overwhelms him that he never takes time out to see the effects his behavior has on those around him—especially his daughter. Thus, the central tragedy of the film actually finds itself encoded into the structural meaning of the story: Nader’s steadfast prideful manipulations drive his daughter to a point where she abandons her original point-of-view and chooses one parent over the other. Up until that final scene his daughter went with the flow—engaging in the process of separation without really dealing with any of the residual fallout. She didn’t want to have to make a choice and risk hurting the other parent. Unfortunately her father brought her to a point where she had no other choice but to live with the repercussions of divorce. The Story Outcome of Failure and the Story Judgment of Bad categorize this change as [Tragic]. A Separation succeeds on so many levels because it depicts the results of divorce—both personally among individuals, interpersonally between parents and children, and globally amongst the citizens of a progressing nation dealing with a separation from the old ways and old bonds towards a new and uncertain future. See how the storyform labels the Story Consequence as Progress? The Consequence occurs when the efforts to reach the Story Goal fail, and fail they do in this film. The tragic consequences of progress in Iran—that’s the deeper meaning of this film and the true purpose of the narrative. Modern Iran, with its children having to choose one “parent” over the other, finds progress a tragic process—a no-win situation regardless of which path they choose—the fallout of which results in a fractured society, alone and separated, with losers on both sides. Dramatica did more than predict story points, it gave us a blueprint of the Author’s original intent—his purpose in writing this powerful and moving story. A Separation scores 99% on [Rotten Tomatoes] because it tells a solid and purpose-driven story. The filmmaker had something very meaningful to say and he did it both competently and artfully. Dramatica and its concept of the storyform helps explain the former. Talent takes care of the latter. That powerful message—made possible only through this combination of ability and thematic enlightenment—is what audiences and critics respond to and what many an Author aspires to. The signal flare of greatness beckons; step forward without trepidation, taking comfort in the well lit path before you.